We have robe hooks in many styles and finishes to match your bathroom hardware and plumbing fixtures. 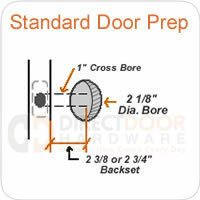 Robe hooks can be easily installed on the wall or the back of your door. Robe hooks are great for adding some hanging space in your bathroom or closet. You might also consider using robe hooks for hanging towels in a small bathroom where there is not enough room for towel bars. Also see our matching towel bars, towel rings, and tissue paper holders. If you need help finding the right robe hook or have installation questions please call us at 877-852-9449. Our helpful support staff is here Mon-Fri 9-5 Mountain Time.